Kai Kight has a diverse background that has been fueled by creating and making. He holds an engineering degree from Stanford University. As a Kleiner Perkins Design Fellow and Mayfield Fellow, Kai got an early start in entrepreneurship. Why do some people just play notes they are handed while others write new music in the world? 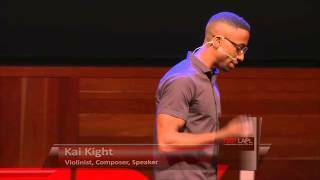 In his captivating presentations, Kai Kight tackles this question, performs original music and shares the inspiring story of how he became an innovative composer in a field of conformity. His session will leave you feeling inspired to take your future into your own hands and bring your unique ideas forward.